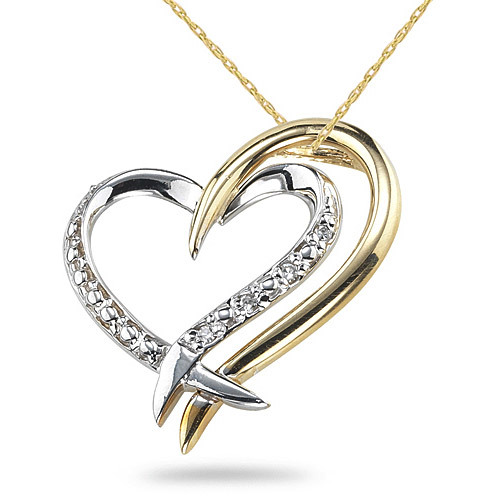 Two Hearts connect side by side and are favored by diamond accents in this 14k yellow and white two-tone gold necklace. Includes 18" chain in 14k solid gold. See more diamond heart necklaces to browse Apples of Gold's best selling heart jewelry collection. We guarantee our Two Hearts Connect Diamond Necklace in 14K White & Yellow Gold to be high quality, authentic jewelry, as described above.